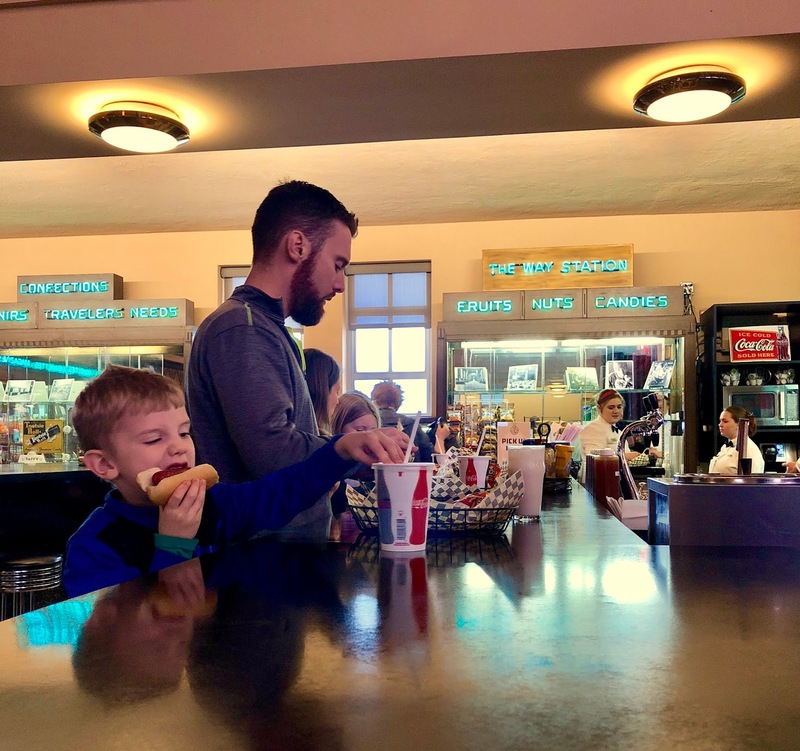 There is only one demographic that enjoys soda fountains -- where one still can find them -- more than grown-up kids. That would be kids who still happen to be . 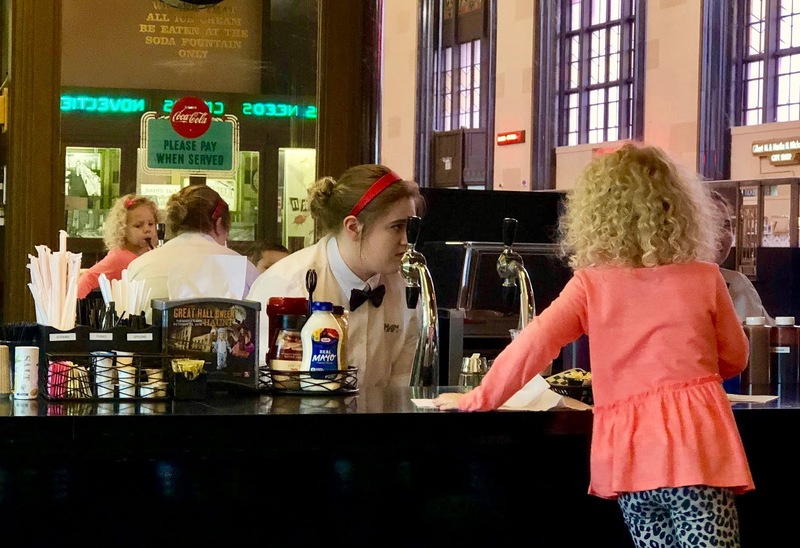 . . kids. 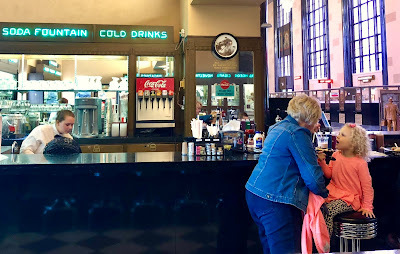 Fortunately, one of my favorite places in Omaha, the Durham Museum, happens to have one of my favorite things -- a soda fountain. 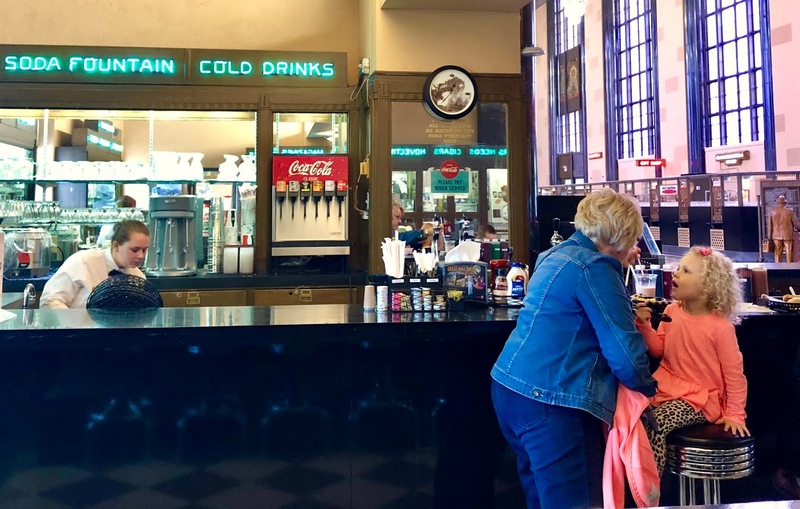 The soda fountain is scarcely changed from the days when it was the soda fountain and "travelers' needs" shop at Union Station, the Durham's previous incarnation. VERILY, the only thing better than grabbing a hot dog, a sundae or a root beer float at a soda fountain is grabbing a hot dog, a sundae or a root beer float inside an early-1930s Art Deco masterpiece of a building. That's my opinion, at least. I can't speak to the architectural sensibilities of soda fountain aficionados under age 7. 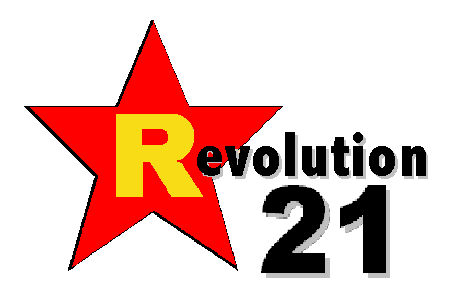 Trump save Amerika from the advancing horde!